Crispy Chocolate Chip Cookies – Gluten-Free! Fresh Cherry Salsa ~ Try with my Layered Cheese Nachos! Pan fried and similar to a fritter, these pop-in-your-mouth treats are simple to make and well worth the effort. 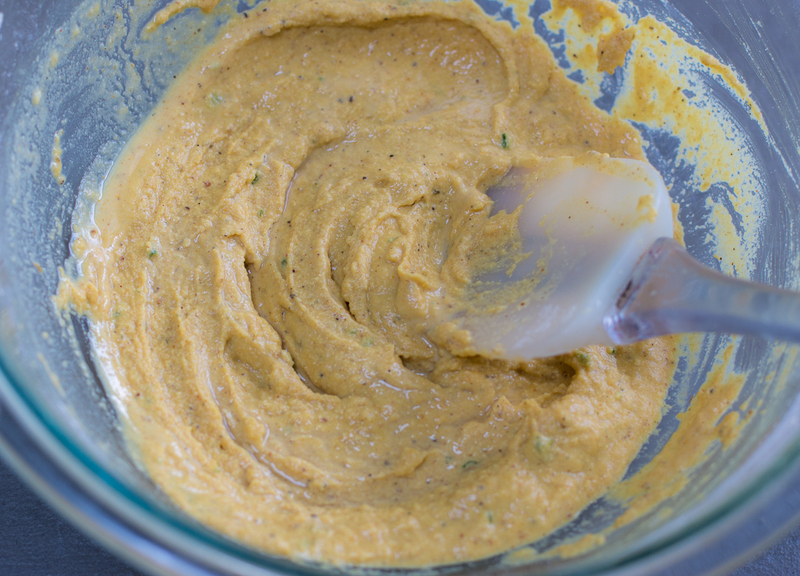 Indian seasonings add a punch of flavor – and they are Vegan and Gluten-Free! There’s a new appetizer & snack you must try! 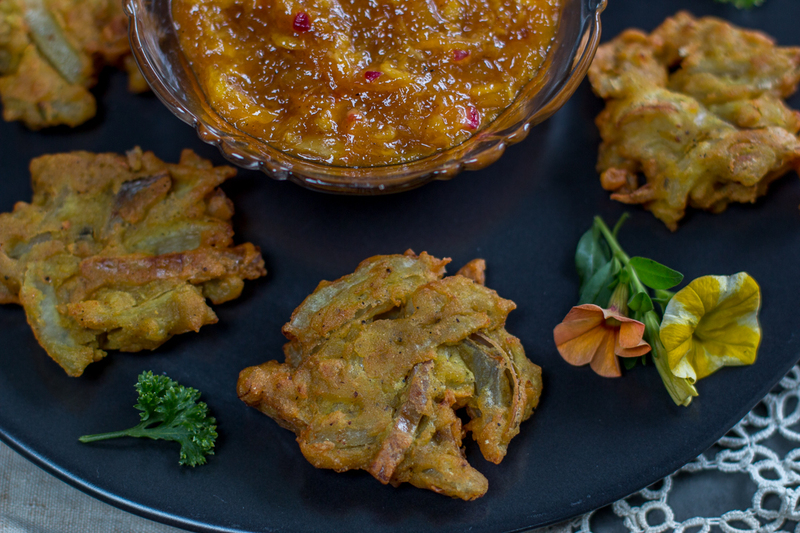 Crispy edges and softened sweet onions… just love these Bhajis! 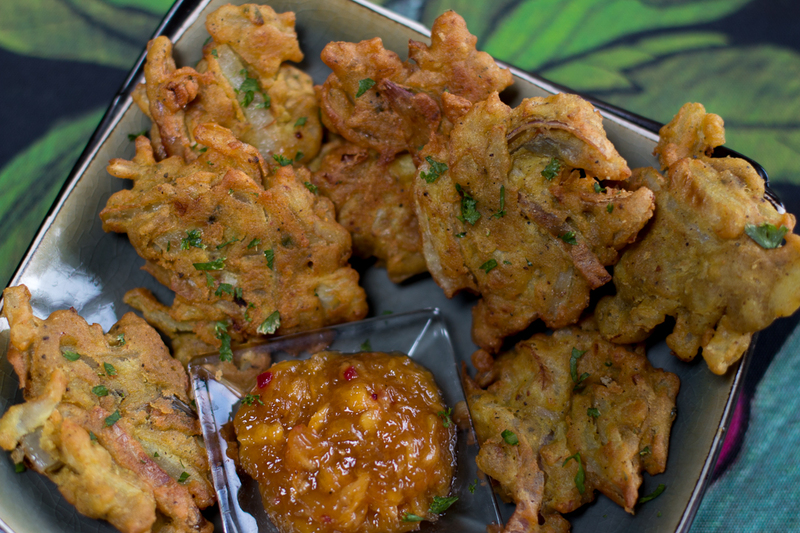 Bhajis are crispy little fritters – mine are pan-fried, not deep fried. Little morsels packed with flavor and spice! Actually easy to prepare with pantry ingredients and fresh onions – these are organic, freshly dug and firm. 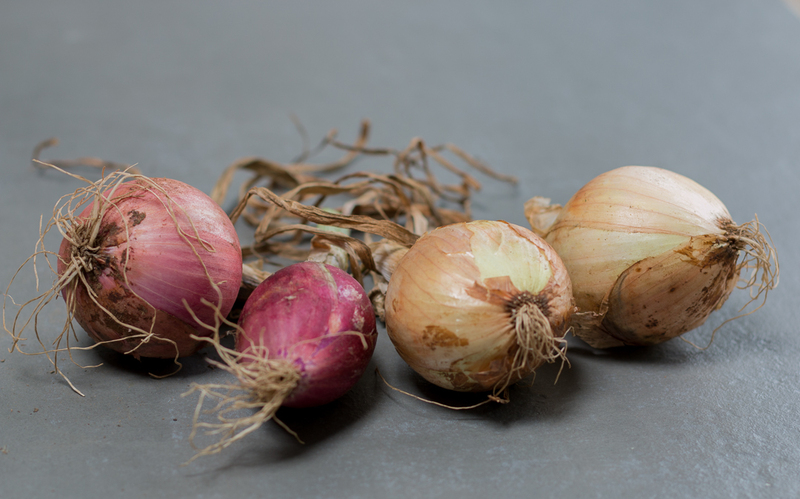 Yes – onions are seasonal! We all see them year round in supermarkets – but they are in season now in summer. Don’t pass them up at farmers’ markets and farm stands! They are inexpensive and a treat right now when you purchase them from the farmer who grew them. 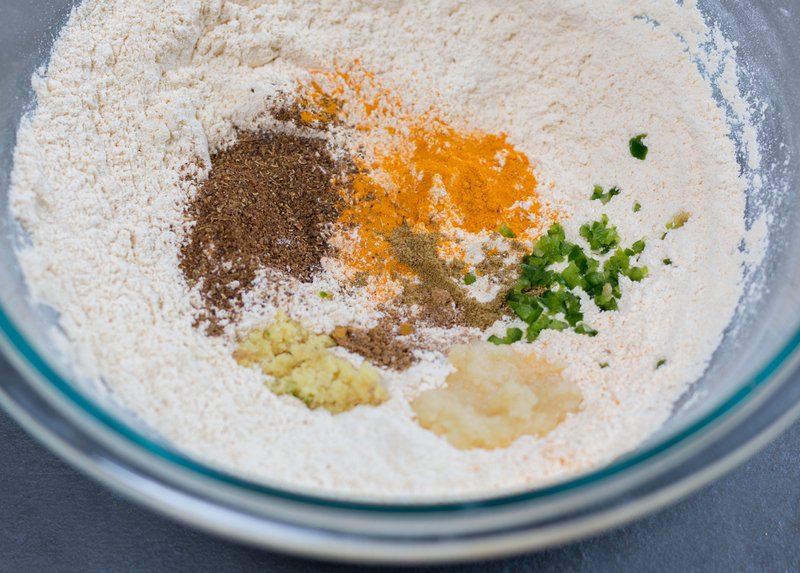 For my Bhajis, I chose red & yellow varieties – each lend a different color and flavor profile. They are Vegans and Gluten-Free! 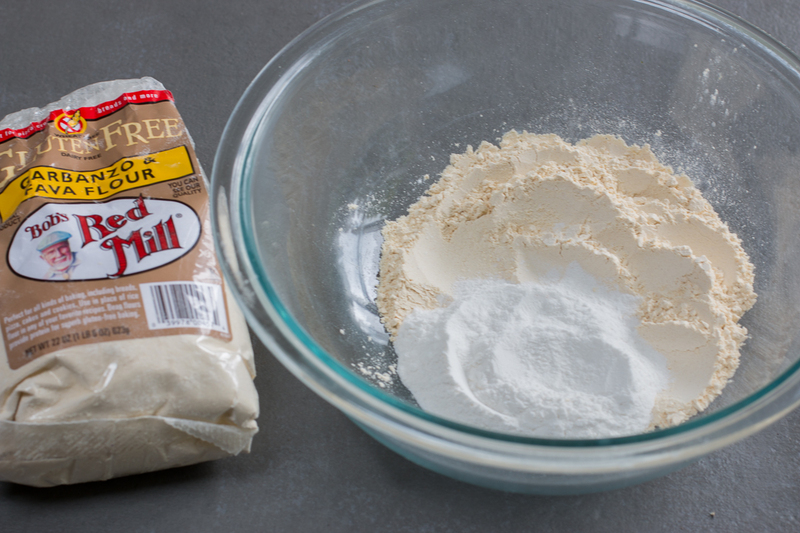 Garbanzo Bean Flour and Rice Flour (both readily available in health food shops and better grocers) bind the fritters. Simply add some explosively fresh dried Indian spices with fresh jalapeño, garlic and ginger. 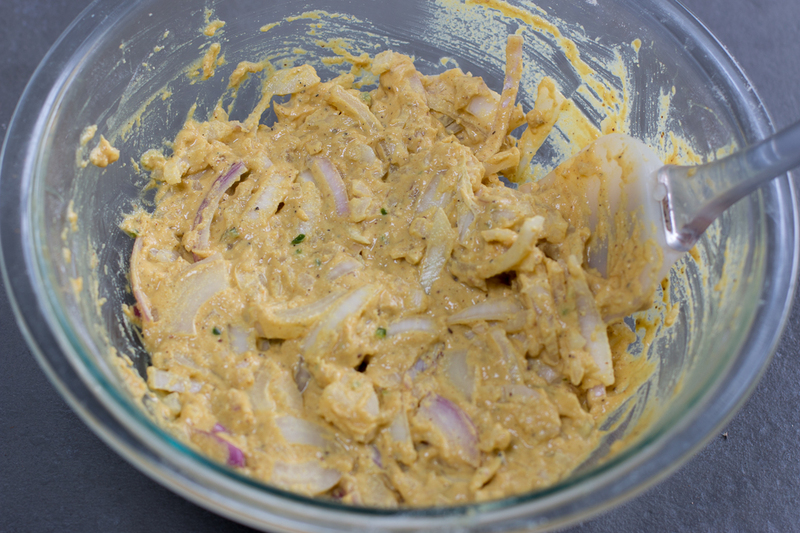 Stir in water and lemon juice, and a batter is ready for you to add the sliced onions. 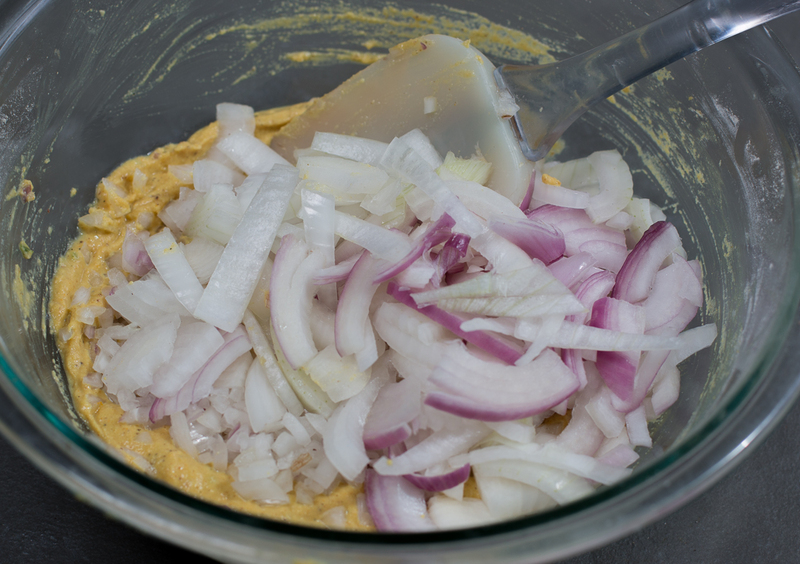 I have chopped some of the onion smaller – helps the Bhajis hold together. No need to deep fry – I add some neutral oil to a 9″ skillet and drop round spoonfuls of onion batter into the hot oil, slightly press down so they will cook through, without being gummy inside. Such a wonderful appetizer for any party or get-together or a wonderful snack. Try something new… Bhajis are a dish any good cook should learn how to make. I love to serve them with my Grated Mango Chutney for dipping into, but some lemon wedges would also be a simple accompaniment. A Zest For Life Market Bag Is Here! Have a Zest For Life? Off to the market you'll go! Get recipes and updates free in your inbox! To inspire all to find your zest for life by cooking, enjoying and eating real home made food. Am I a chef or a cook? 2019 Food Trends ~ with Recipes! Preparing meals for family and friends, making a mess, sharing recipes, getting people out of cooking jams and offering advice comes as naturally to me as breathing and well, eating!